An index is used as a tool to represent the characteristics of its component parts, all of which bear some commonality. The most common type of index is stock market related, but there are also those for fixed income, commodities and other things as well. Most indices are calculated by the news or financial services organisations, such as the Financial Times creating for example the Financial Times Stock exchange stock index. Indices are designed to pull together the disparate movements of the instruments it comprises of to find out whether the market it represents is moving up or down, in bullish or bearish direction. Most fund managers will attempt to out perform the major indices, though some will aim to merely track them. Also they are often used as a benchmark so that companies can seek to ensure their share price is not under-performing the overall market. There are various ways to calculate index values, including arithmetic, equal weighted and value weighted. The moves of the large priced components will overweight those of lower priced ones. No single component can influence the market any more that any other. Like arithmetic indices, the number of ‘shares’ in each company within an equal-weight index must be adjusted to reflect stock splits, dividends etc. Reflects the broad market accurately since high market capitalisation stocks tend to have the highest volumes. The weightings never need to be adjusted based on things like stock splits. This index includes the 100 largest blue chip companies listed on the UK stock market in terms of market capitalisation. A blue chip stock is a stock from a well-known, stable, prestigious company with a long and successful record of profit growth and dividend sharing. Blue chip companies or stocks are considered those with either a large market capitalisation values or simple well-established companies that have stable earnings and no extensive liabilities. Typically, their shares are perceived to offer reliable returns, low yields and low-risk. 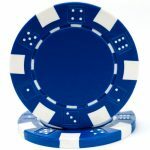 The name comes from the highest value chip in the game of poker – the blue chip. Market capitalisation is the total value of all outstanding shares in a company. It is calculated by multiplying the number of shares outstanding (the float) by their current market price. This term is often referred to as the market cap. This is the value the company trades at on the stock market. It is important to note that the price of each share is not meaningful as a guide to the total value of a company unless you know the number of shares in the issue. The traded value of a company depends on a number of factors but will be heavily influenced by its size (sales, earnings, cash flow etc) and its growth prospects.